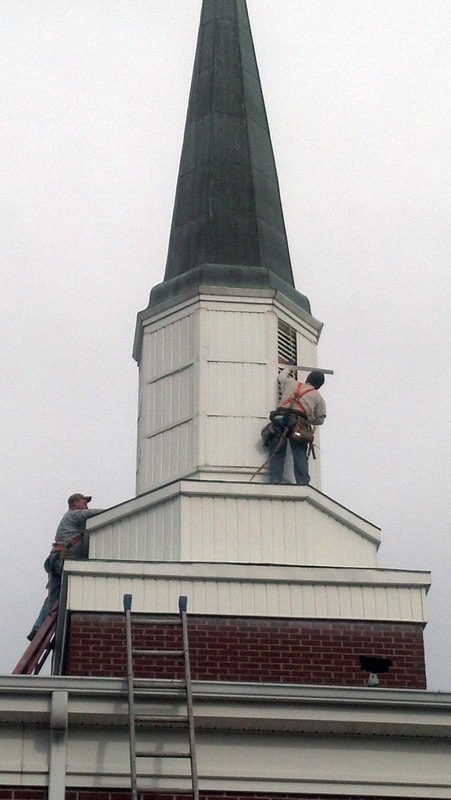 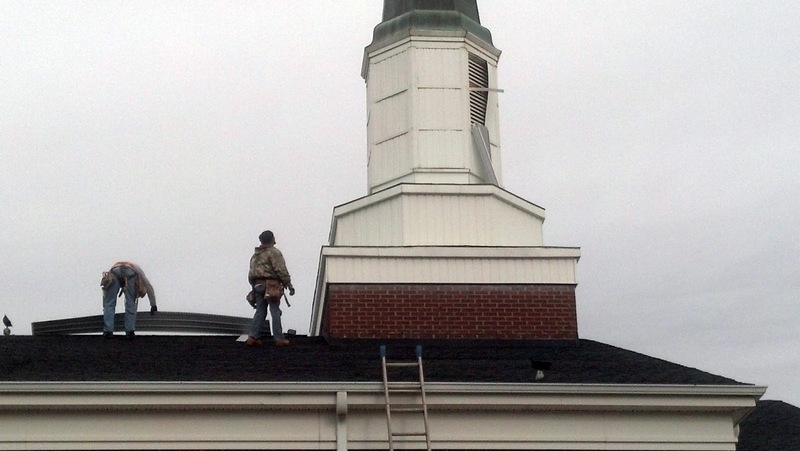 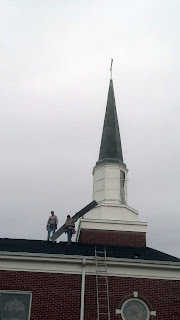 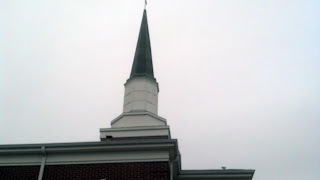 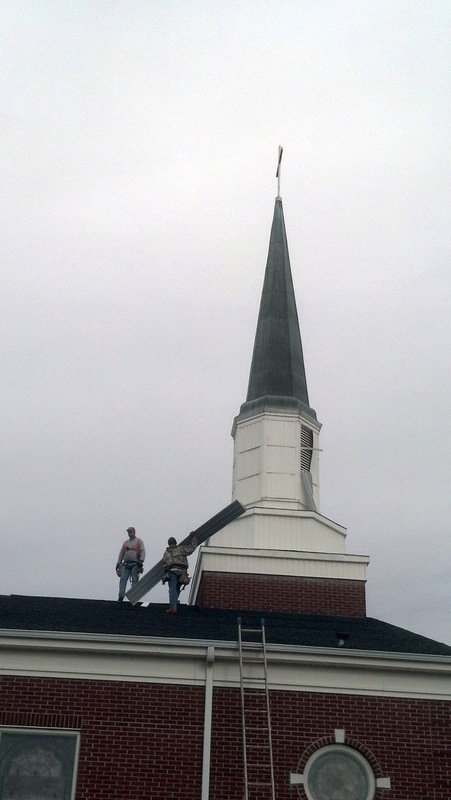 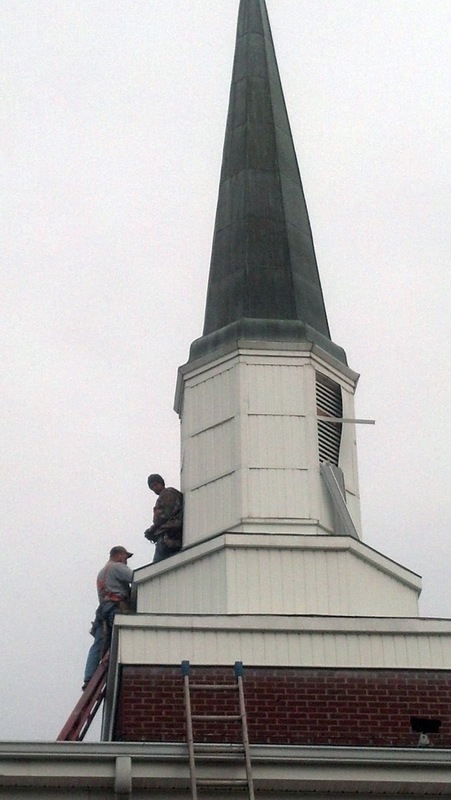 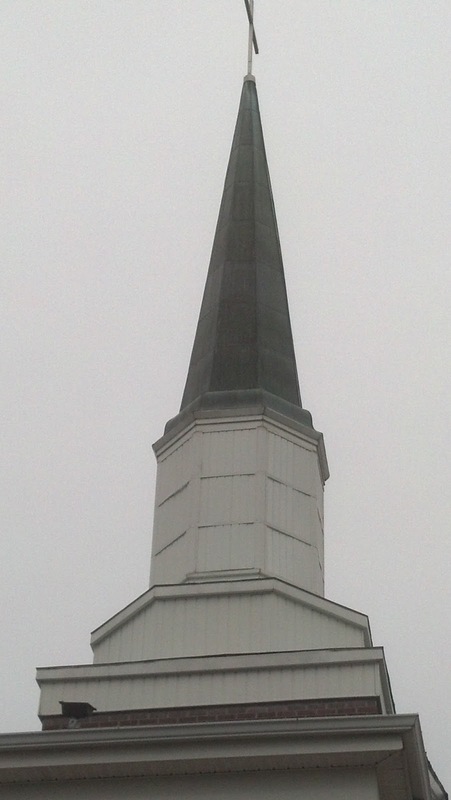 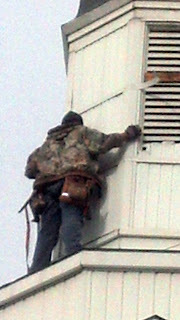 We would like to thank Thomas Keaton and his staff for fixing our steeple that was damaged during last week's windstorm. 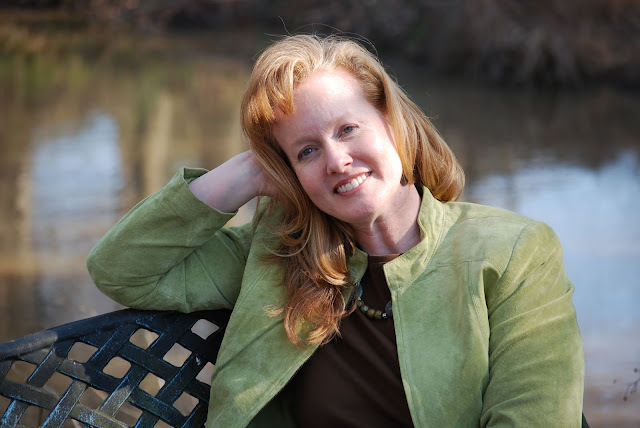 We appreciate your time and effort! 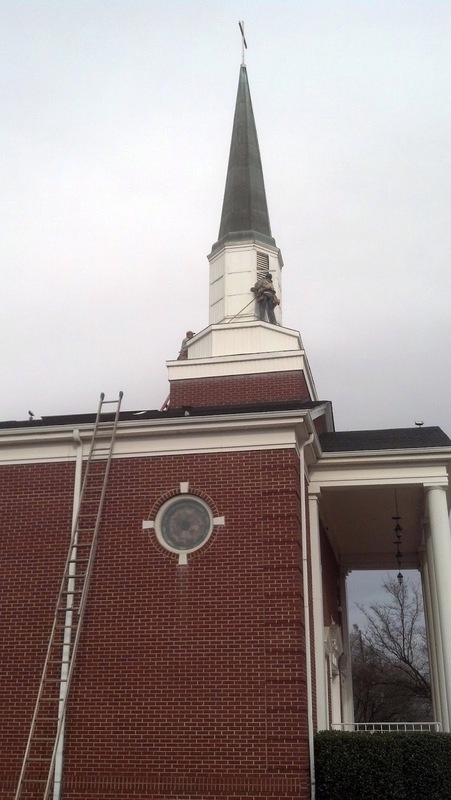 We are so blessed to have members like him and his family!! Here are some cool picture of the work!